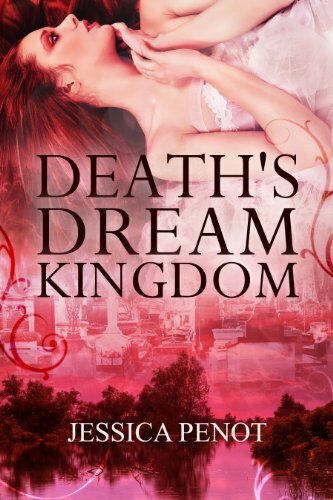 Death’s Dream Kingdom is the story of a woman who is ordinary in every way. She’s an average mother and wife and is happy living every day mired in the ins and outs of the mundane, until she is murdered. After her death, Cera finds herself lost in a nether land somewhere between life and death where demons, ghosts, and old gods roam the streets preying on the living. In this strange world, Cera is told that she is everything but ordinary. In death, she alone can help heal the rift between worlds and help bridge the gap between life and death. Caught somewhere between her desire to live again and the desire to find heaven, Cera fights those that would pull her into the politics of the netherworld. But the will of the Fates is stronger than Cera’s will and Cera quickly finds herself pulled into a quest that will drag her to hell and back and into the arms of an ancient demon lover. She will find that she is a child a Fate and that she alone can challenge Death himself for dominion over his kingdom.